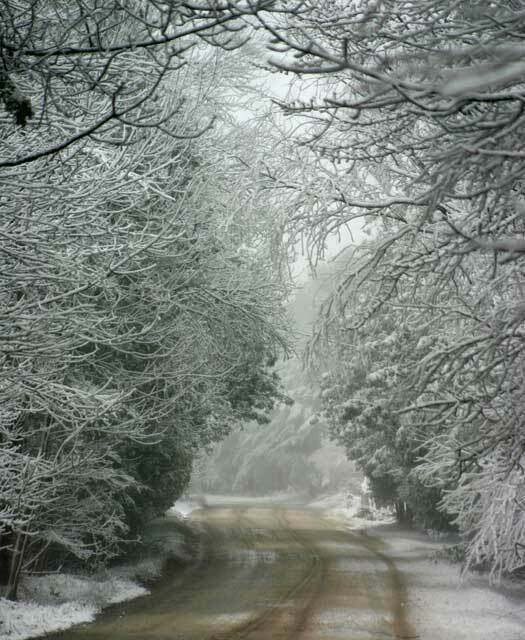 Those of us who live year round on Beaver Island are looking out our windows to snow floating down out of the air. Yes, that's not an April Fool's joke. 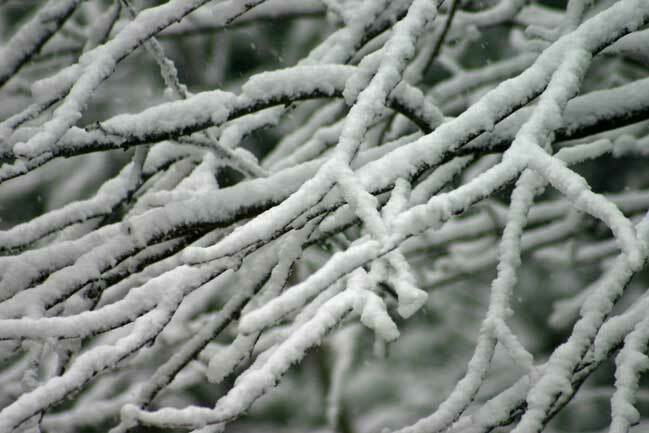 There is snow falling on April 17, 2010. 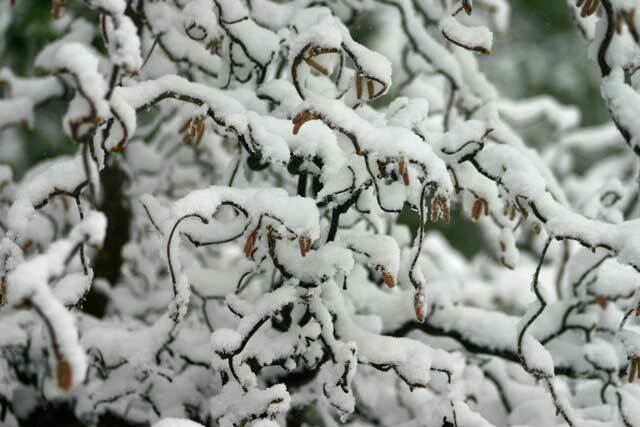 It's not likely to be the five or six inches of snow that we had recently, but snow flakes are snow flakes. Those in the warmer climates should at least feel a little bad for us here on Beaver Island. 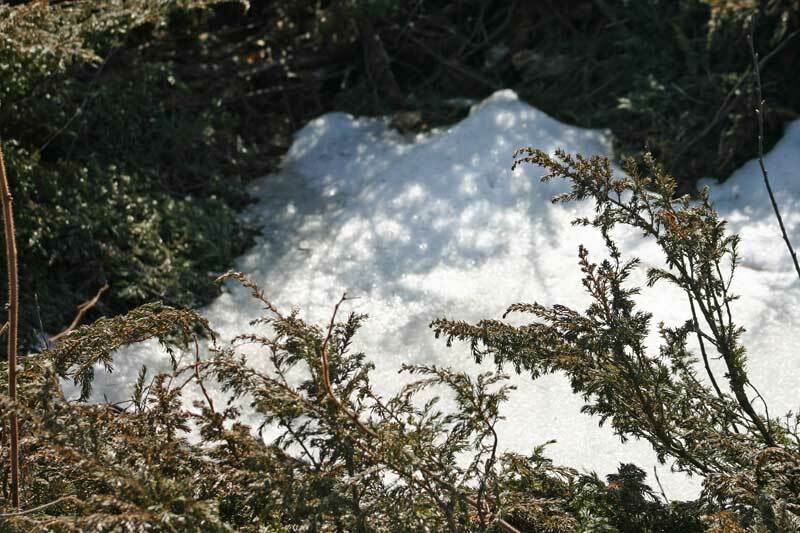 We really need the moisture because the creeks are down and the swamps are drier than they have been recently, but come on, SNOW! Some of us were spoiled with the warm temperatures, the nice days on the golf course, and the thoughts of working in the flower beds. This may not be the last snow that we have either. The temperatures seem to ranging from early 30's to the 70's. The birds are back. The frogs are croaking at Barney's Lake. 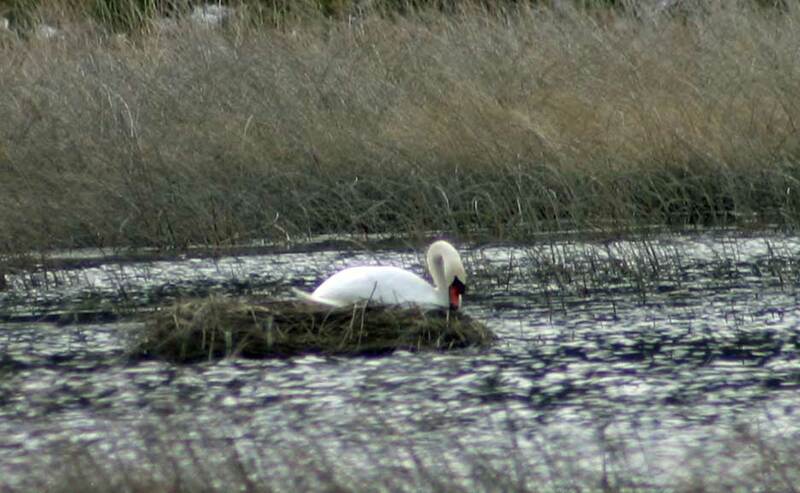 The mute swans have a nest with eggs in it. 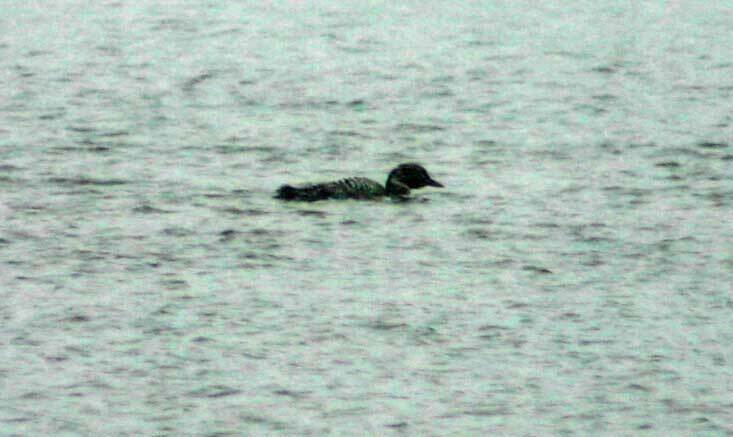 The loons are back. Does this mean an early spring? Probably, but stand by for the next surprise in northern Michigan. You know the weather forecast by looking out the window or by walking outside. Who would even try to predict the possibilities for the rest of April and early May? The new 2010 Chamber of Commerce Visitors and Business Directory will be available for the first time at the Citizen of the Year banquet, Saturday, April 24,2010. Jeff Cashman designed the publication and his lighthouse / fireworks photo is featured on the cover of the 43 page book. 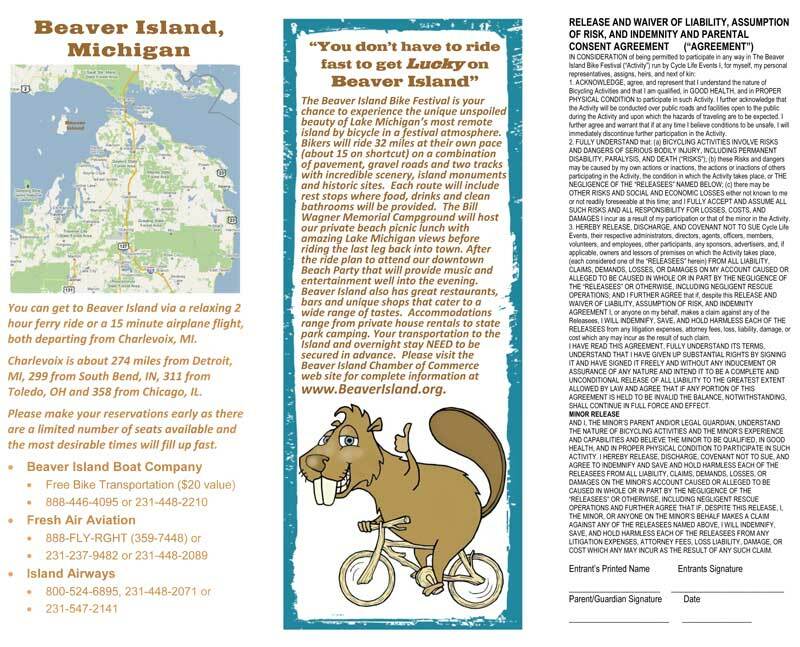 The Beaver Island Chamber of Commerce prints 6000 copies of the brochure each year as well as 8000 color rack cards for Michigan Welcome Centers. Opening for the summer Memorial Day weekend (Saturday, Sunday and Monday). 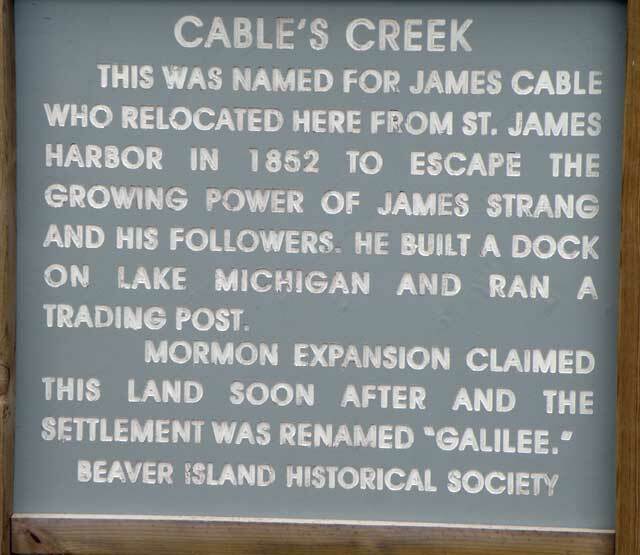 Three of these have to located on Beaver Island recently. There are those that consider this a mystery because neither township, nor county government can provide any information about them. The CMU Biological Station is also unaware of the purpose of these. The three have been found by a resident who lives at the south end, but verified by the editor. Phone calls are in to several other levels of government to help resolve the mystery. If you know and can verify the purpose of these, please email medic5740@gmail.com. Please, only verified answers. 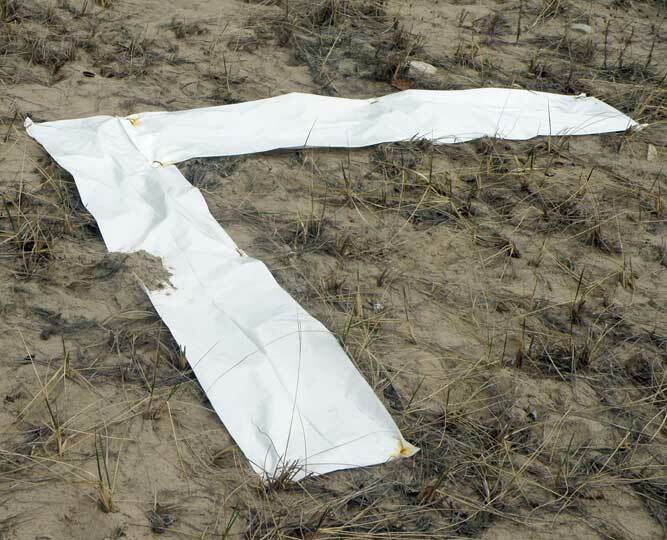 The object is approximately in the shape of an "L." It is approximately three feet in lenght for each leg of the 'L." The white plastic is secured to the ground using pins that resemble something found in a special knitting kit. The plastic is between 12 and 14 inches wide. 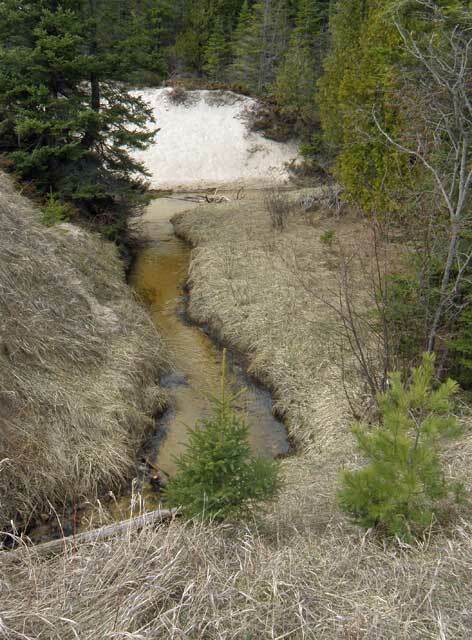 The run-off creeks on the island are all very low this year. 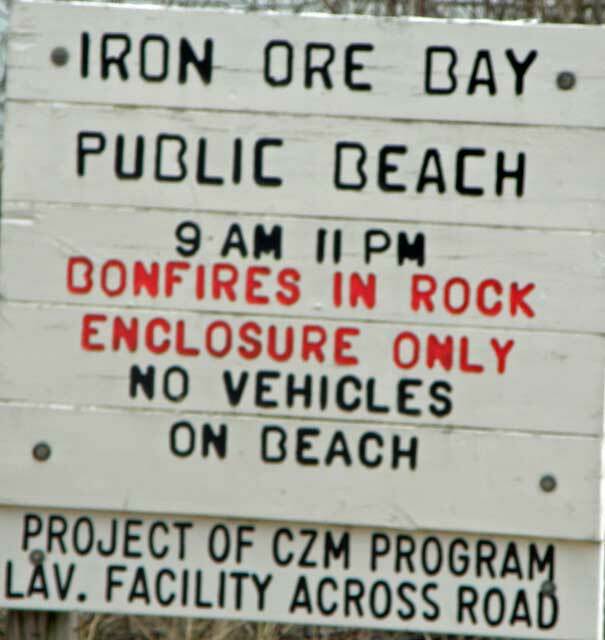 There is absolutely no way for spawning fish to enter Iron Ore Creek this year. The others are also questionable. The Island needs rain even though a little rain brought the fire danger level down to low. 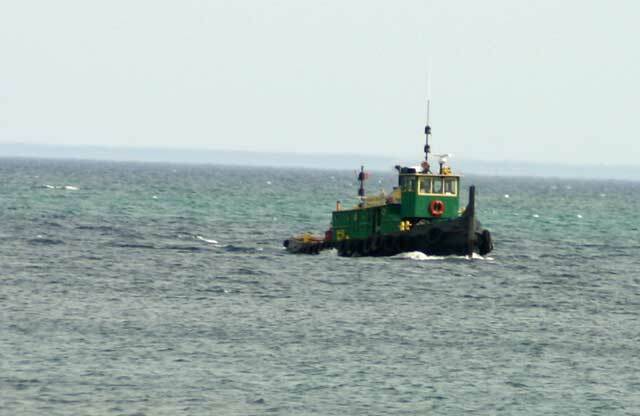 Looking out the window of the Shamrock Bar revealed the Shamrock tug and barge returning to the Island on April 13, 2010. The next location for a webcam on Beaver Island should be the top of the microwave tower, so that everyone can keep track of the ospreys when they fix up their nest and raise their young. In the past, Jim Gillingham was supportive of the idea and telephone Rick seemed to think it was a good idea. This is the wrong time of the year to be installing a webcam on the tower because the ospreys are already back and rebuilding their nest, but it is the right time to suggest that this project get underway for next year's pair of ospreys. If you think you might be interested in seeing the results of this webcam and/or if you think you might be interested in helping to support the costs surrounding this kind of project, please email me at medic5740@gmail.com. You saw a posting on the Beaver Island Forum about a Health Fair in September sponsored by the Human Services Commission, and you might have asked yourself: "The Human Services Commission--What is it? Who is it? What is it doing?" Good questions!! Let's try to answer them. 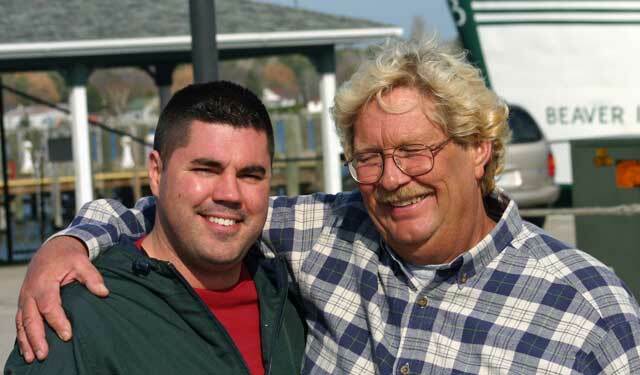 In the fall of 2009, both townships passed a resolution that established a commission to (in part) "identify and prioritize the island's human needs, identify sources for providing those, advocate for the Island with off-Island agencies to work toward providing for the needs of Islanders." And so, the Human Services Commission was born. The mission statement of the HSC states: "The Human Services Commission is a collaboration of organizations that advocates for the emotional and physical needs of Island residents and visitors of all ages." The Commission membership is from across the island and identifies with the diverse needs of the Island. Current members include: Pam Grassmick, Peaine Township representative and HSC chairperson; Donna Kubic, BI Rural Health Center and HSC secretary; Alice Belfy, BI Community School; Steve Finch, BI Lighthouse School; Judi Meister, Food Pantry; Kathy Tidmore, St. James Township representative; Nancy Tritsch, Council on Aging; Bob Tidmore, Amvets; Lois Williams, Hospice and Helping Hands. 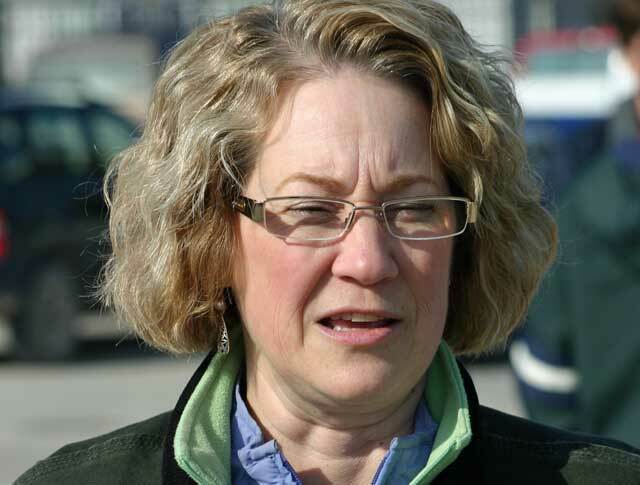 Joan Vyse, as St. James representative, regrettably was unable to complete her tenure. The Commission has set three major goals: Build collaborative partnerships to foster physical, social, emotional, or spiritual well-being of residents and visitors; Implement structure to coordinate information re: access to services for community use; Support the economic vitality of our community by ensuring that services are available and accessible. Putting it simply: We are hoping that as a group of people representing many different service organizations, we will have more credibility and "clout" than any of the organizations might have operating individually. We want to ensure that Beaver Island receives its fair share of tax-supported services, and we want information about those services to be available in user-friendly form. 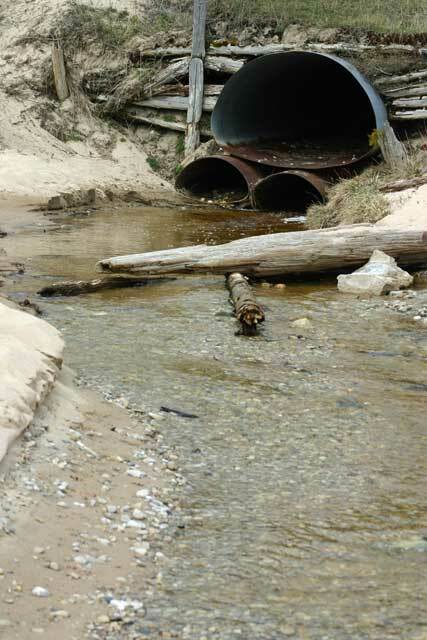 In January, four members of the Commission traveled to Charlevoix to meet with Shirley Roloff, Charlevoix County Commissioner representing Beaver Island, and 15 members from various county agencies to discuss improving communication regarding services available to all Charlevoix County residents, however removed from the mainland, the efficient delivery of those services, and developing a gap analysis of services. 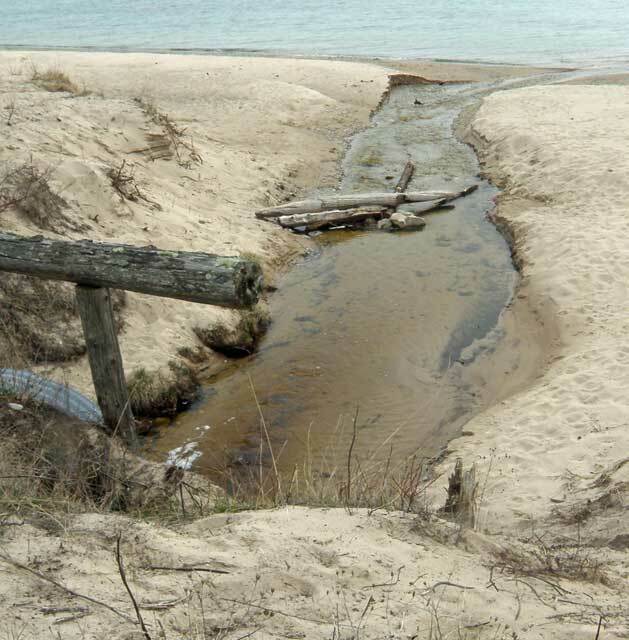 The Commission continues to work toward ensuring that living on Beaver Island remains a viable option for low income, elderly, visitors, and all those in-between. 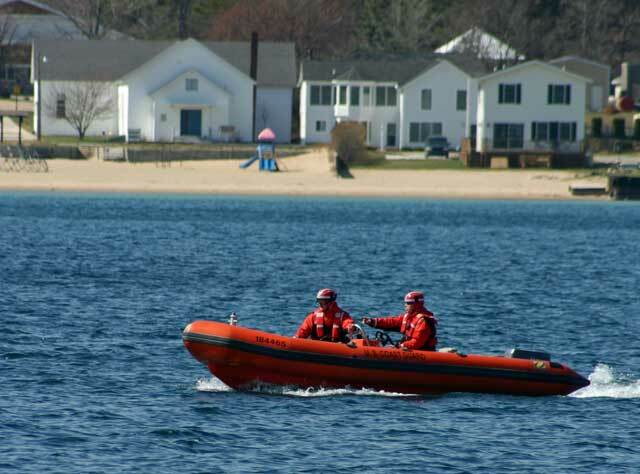 In September 2010, the Commission will offer a Human Services Fair for the Island community with participating agencies of Emmet and Charlevoix counties. The HSC holds monthly meetings the third Tuesday of each month at 2:00 at BI Community School. The HSC also meets monthly (by teleconference) with the Coordinating Body of Emmet and Charlevoix Human Services for the purpose of obtaining relevant information in a timely manner. There is much we hope to accomplish as the HSC connects with mainland resource services to work toward providing for the needs of Islanders. The HSC plans to provide a brief monthly article in publications and websites on a issue of common concern for the purpose of disseminating information. 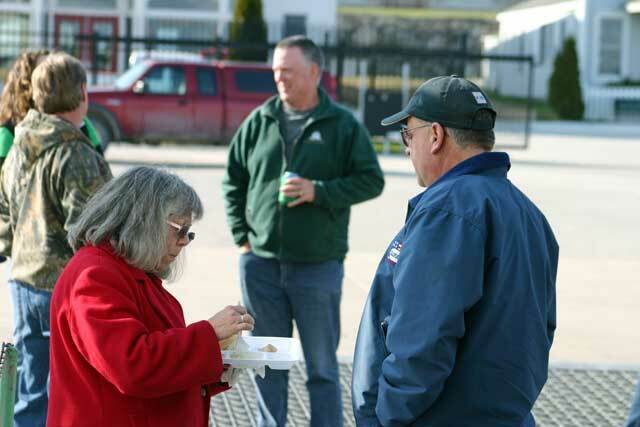 Whether this was a gathering to start off the new season of running the Emerald Isle or just a gathering to thank customers, it was an excellent time to renew acquaintances with people from the Charlevoix side of the water. 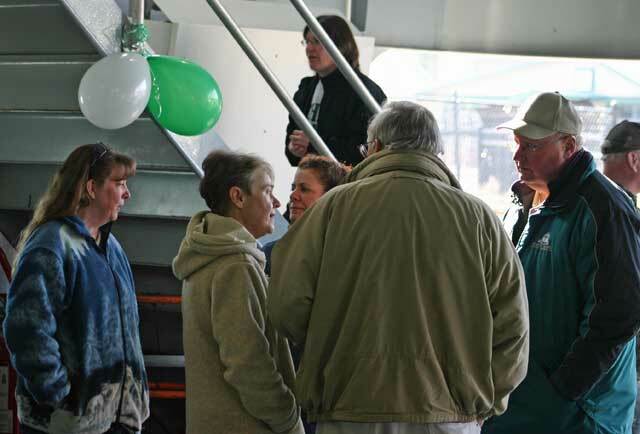 The BIBCO manager and employees gathered on the Emerald Isle to celebrate the new ferry season. Brauts, potato salad, and vegetables with lemonade and coffee were provided to those attending the gathering. Music was provided by Danny Gillespie, Danny Johnsten, and Cindy Gillespie Cushman. 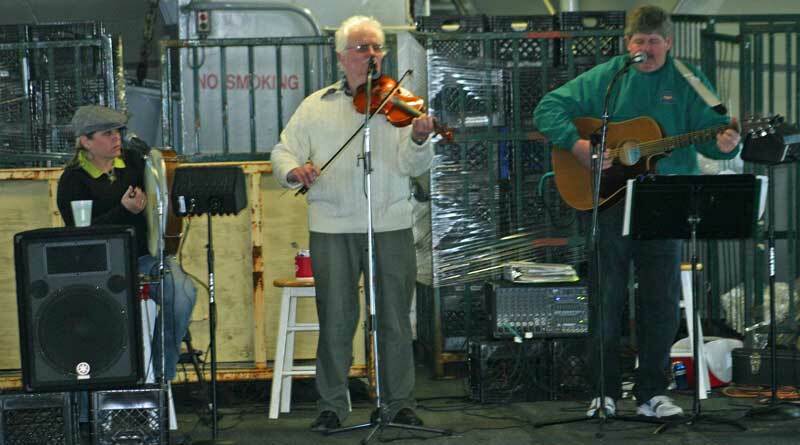 They played the old time Beaver Island music on board the Emerald Isle. The Emerald Isle was docked, so this was not a cruise, but the company was wonderful. Those present were obviously enjoying themselves. Usually when you are reading something that has this title, your first impression is one of a political theme. This is not one of those. Farther from that it could not be. 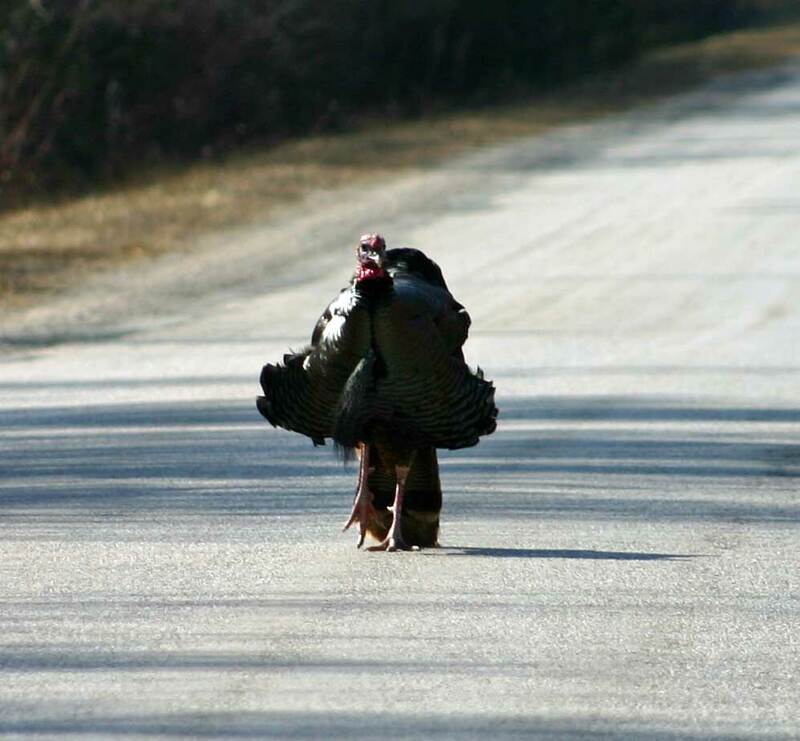 The questions posed here relate more to wildlife, but the answers are not really that obvious. 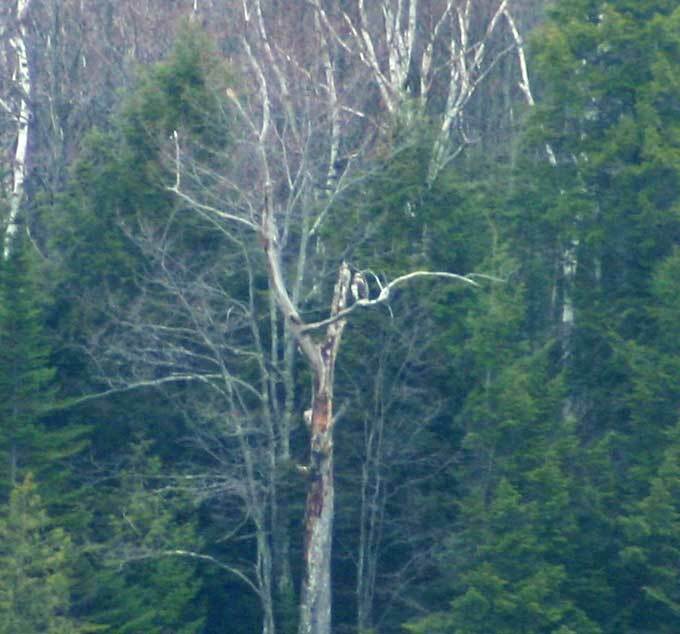 Question 1: Is this an eagle or an osprey in the tree across Font Lake? 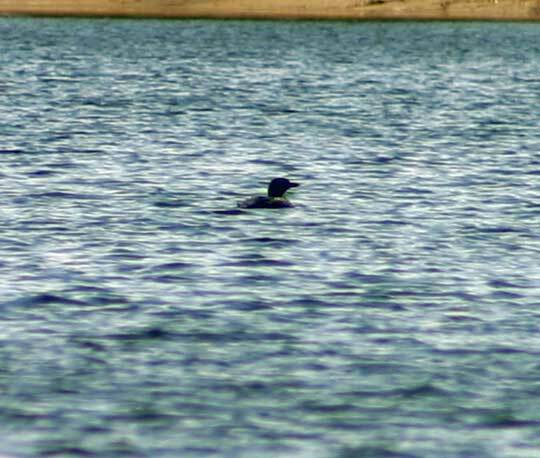 Question 2: Are these loons or ducks? Question 3: Did the mute swans get more agressive or just move their nest at Barney's Lake? Question 4: Where is this Barney's Lake loon's partner? 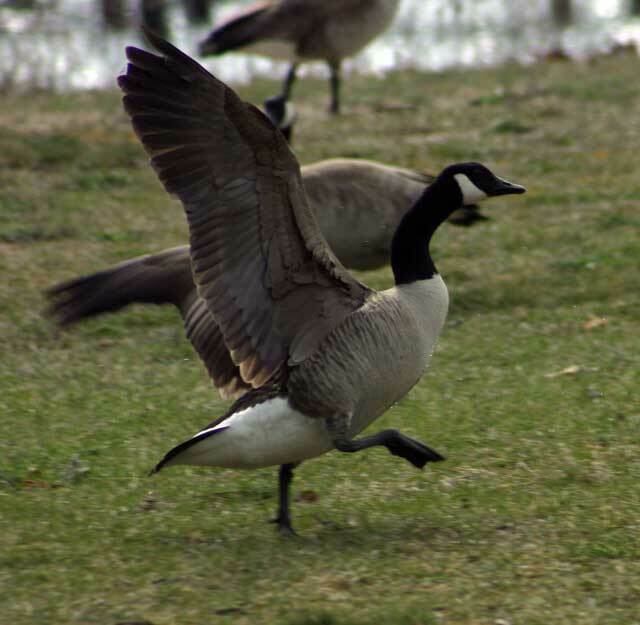 Question 5: Are these Canada Geese here early or just in larger groups? 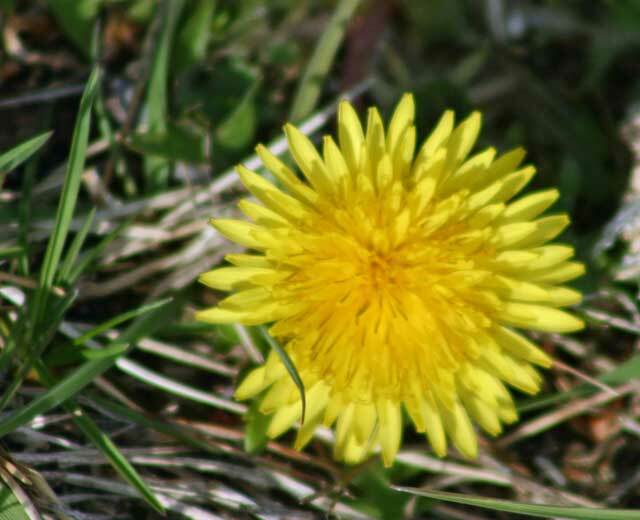 Question 5: Is this the earliest dandelion you've ever seen on April 10, 2010? 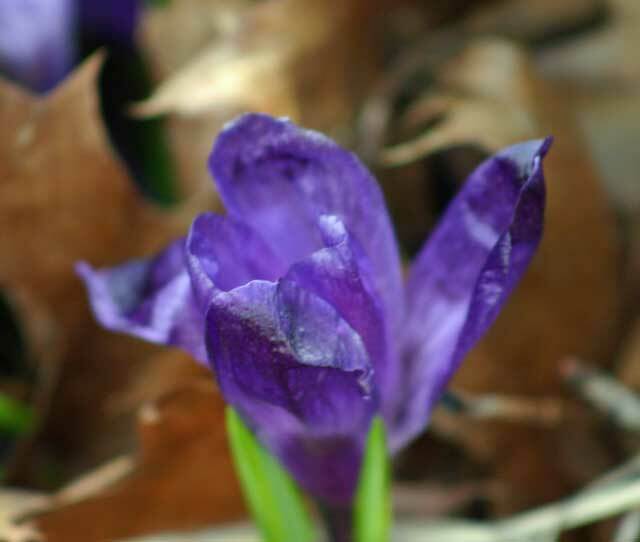 Question 6: What has caused the arrival of spring flowers and early arrival of the spring birds? The planes weren't flying. You couldn't see across the harbor. The roads are muddy. 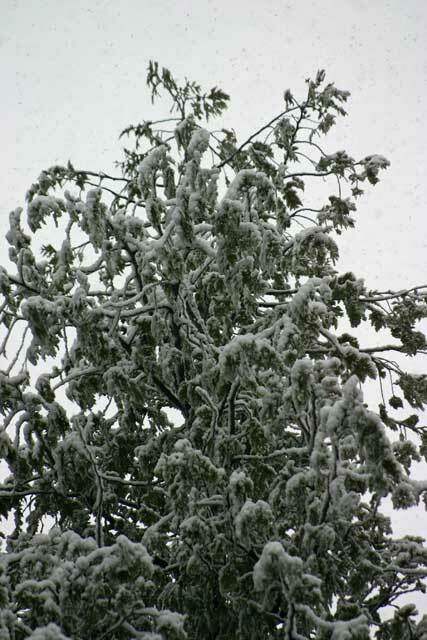 The tree limbs are weighed down by the heavy wet snow. 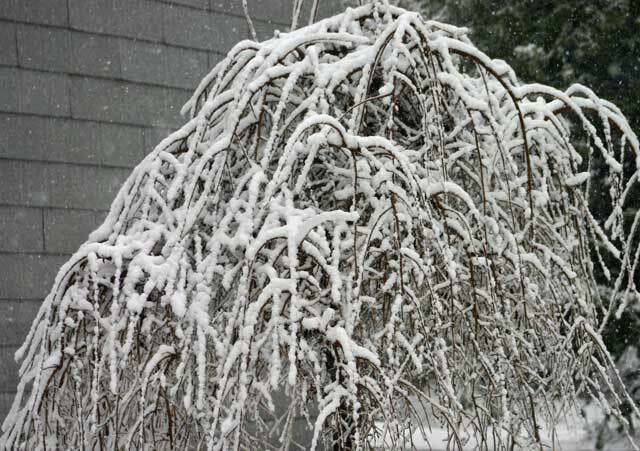 The snow was coming down in big flakes, just like inside the old Christmas paperweights that you shook up. The sun is out now (about 3:30 p.m.) and the snow probably won't last too long, but driving around to get pictures was somewhat disappointing. Why is it that everything looks like a black and white photograph when the snow is so bright? Finding color in the five inches or so of snow was not easy at all. Here are a few photos taken on a drive before the sun came out. The Citizen of the Year has been selected from 29 nominations for 13 different nominees. Community participation was a near record high. Award(s) at approximately 8:00 p.m.
BI Comedy Group entertainment at approximately 9:00 p.m.
On April 7, 2010, the St. James Township Board held two public hearings and it regular monthly board meeting all on the same night. The public hearings were related to the need for rental housing and the need for senior housing. This need was expressed very succinctly and completely by Pete LoDico and Sandy Birdsall with comments by Connie Wojan as well. The report provided by Pete LoDico indicated the need for the $400,000 grant to build a six unit rental apartment structure on the property near the BI Rural Health Center that was donated for this purpose. All federal regulations related to senior housing income levels for qualifying for this housing were included in his report. Also suggested was the need to sell a one acre parcel of this property to a developer for the purpose of building duplexes or other living quarters for seniors not qualifying for the federal income levels of the rental units. Excellent reports were provided to any in the public interested in this project. The regular township board meeting followed the two public hearings. The highlights of this meeting included the statement from Wolverine Power which allows an agreement to be drawn up for the veteran's memorial project location at the old power plant property. The township zoning administrator position was given to Doug Tilly, a twenty year veteran of the zoning board, thoroughly familiar with the zoning ordinance in both townships. 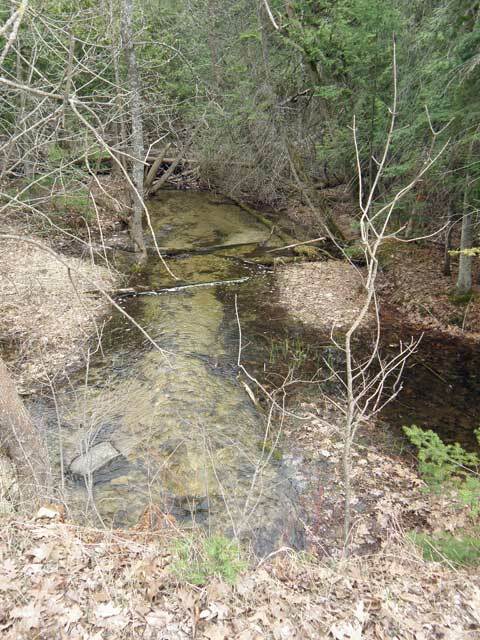 On April 7, 2010, at about 8:20 p.m. the St. James Township Board Meeting ended. 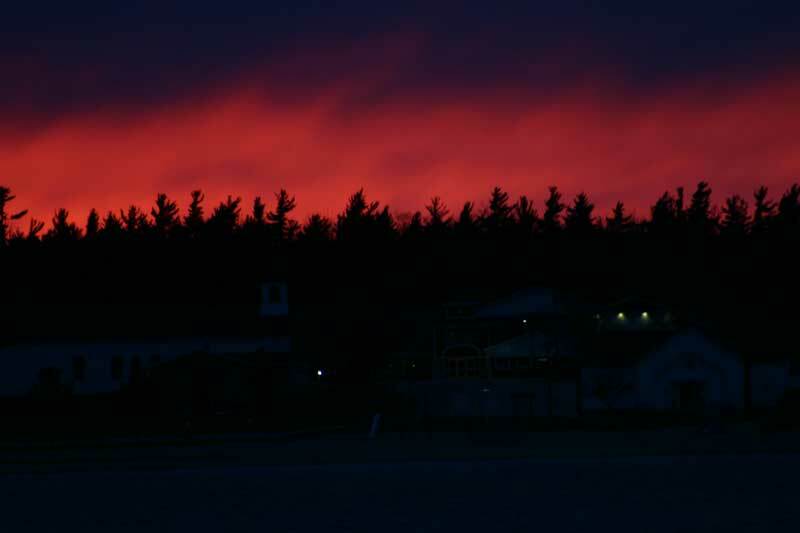 As the attendees left the building and glanced toward the western sky, the view was spectacular. These pictures are for those who do not live on the west side of Beaver Island and for those that did not go outside at the time. Parish Mission Sunday, April 25, 2010, at 7:00 P.M. "Accepting God's Love"; Monday, April 26, 2010, at 7:00 P.M. " Who is Jesus"; and Tuesday, April 27, 2010, at 7:00 P.M. "Healing and Forgiveness." 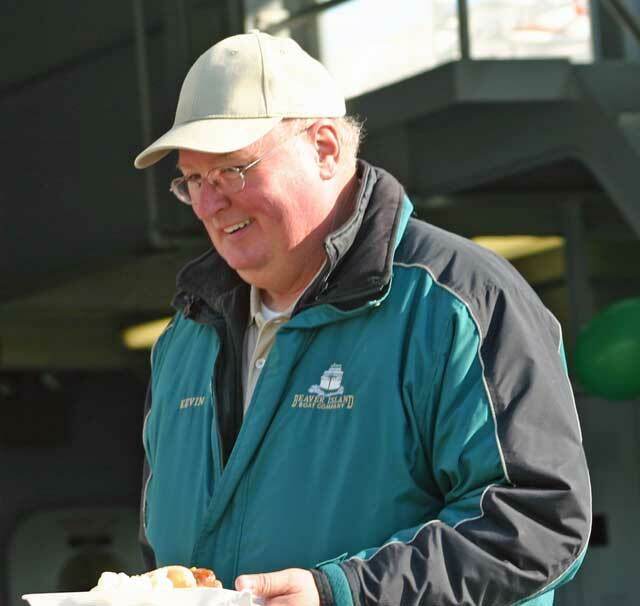 This mission will be led by Father Bob Miller who is well known to the Island. He is from Chicago. Everyone is welcome! Thank you for the kindness you showed me on my recent visit. What a beautiful island! 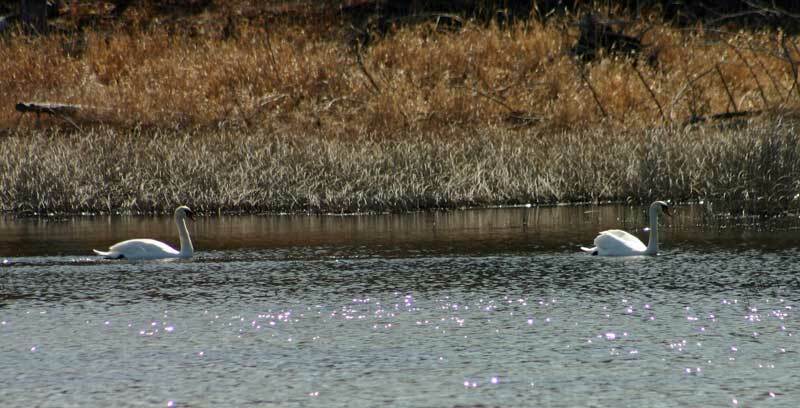 I feel extremely fortunate to have enjoyed the beauty of Beaver Island and beautiful weather on my visit in late-March. It was a pleasure to visit your Island , to meet so many TDS customers, and to learn firsthand how TDS is meeting your communications needs (as well as the opportunities we have to better serve you). TDS is pleased to offer many services on the Island , including phone, high-speed broadband Internet and digital TV services. We appreciate the opportunity to serve you and look forward to continuing to meet your communications needs. I look forward to visiting again. I hope to bring my wife with me when I do, she will truly enjoy herself on your beautiful island. I know Rick, our local technician, takes great care of you; but, should you need anything, please don't hesitate to contact me at 608-826-4395. Each speaker will address the most important issue(s) concerning their topic. 12:30 -- Break for Lunch: On your own. 1:45 -- Roundtable Discussions: 1) Rank the most important forestry, wildlife, and ecotourism issues discussed in the morning. 2) List economic factors to be taken into consideration. 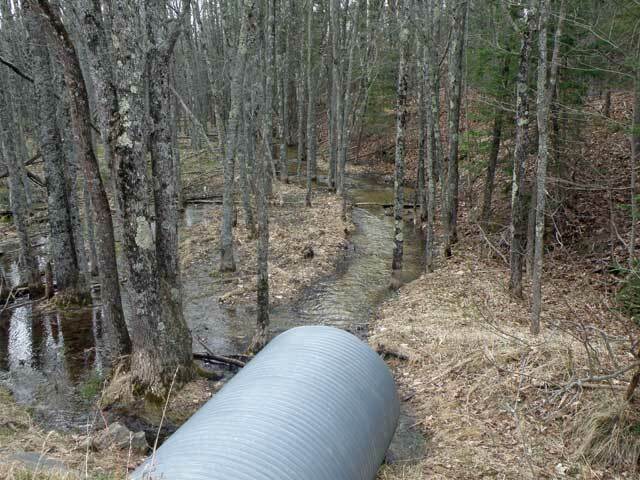 3) Recommend future management ideas including proven ways of monitoring resources. 4 Miscellaneous. 3:15 - 4:00 -- Panel Discussion by experts on issues raised –questions from roundtable and wrap up—where do we go from here? 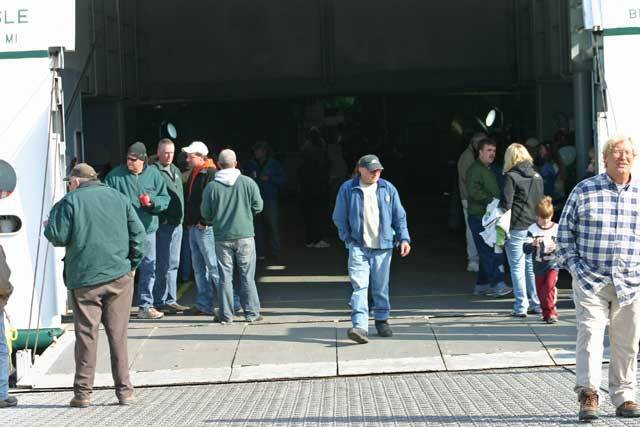 The Transfer Station will go to spring/summer hours beginning May 1, 2010. The hours will be 8:00-5:00 Monday - Saturday. Closed Memorial Day and Labor Day. 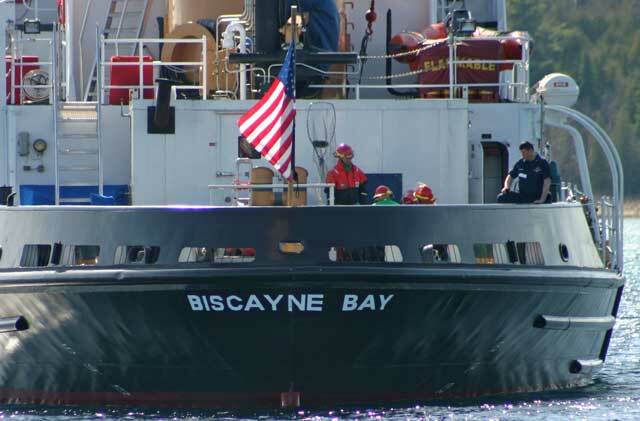 In a surprise visit on April 5, 2010, the Biscayne Bay visited the harbor. 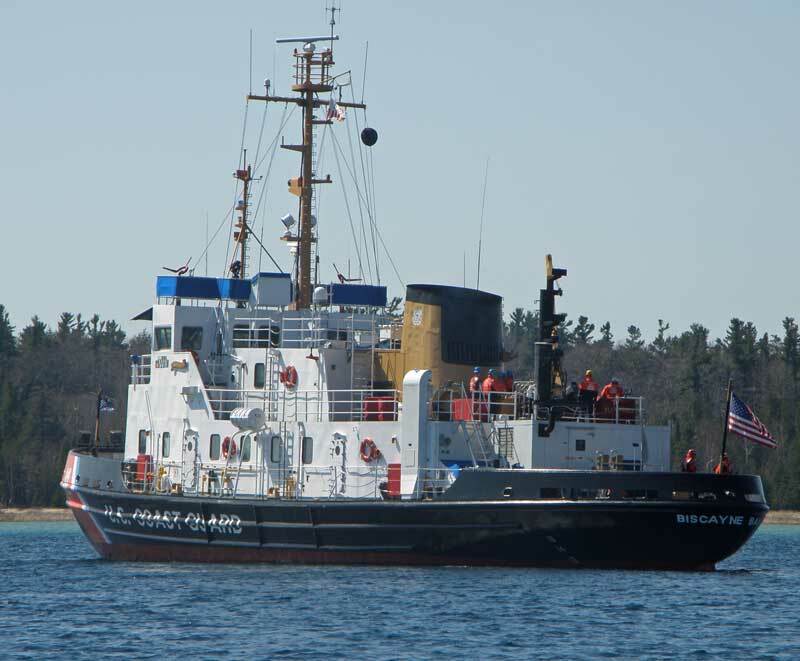 The mission purpose was unknown as the vessel was monitored for a little over three and one-half hours. 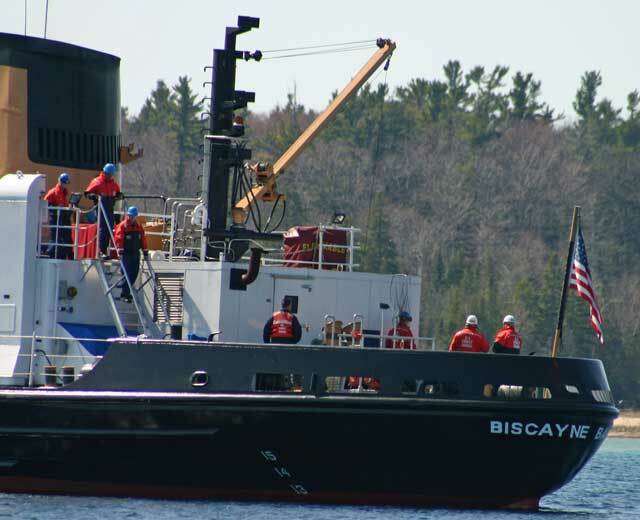 The 140-foot Bay-class Cutters Biscayne Bay is a state of the art icebreaker used primarily for domestic ice breaking duties. 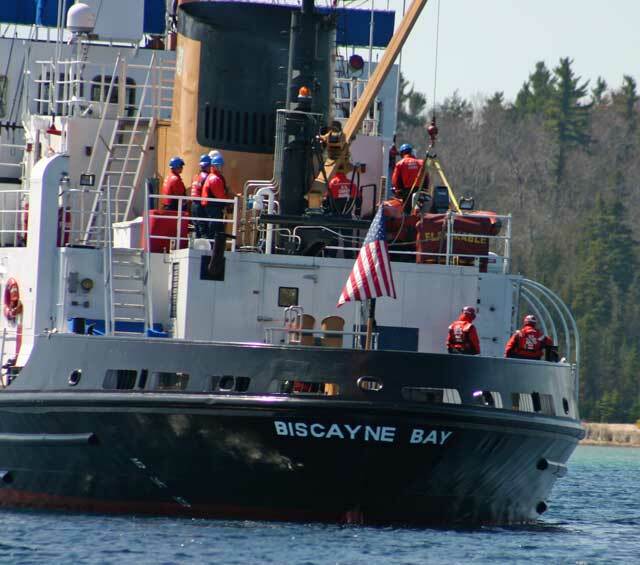 Named after an American Bay and stationed in St Igance, the Biscayne Bay, with or without ice-breaking duty, is required to visit several destinations for training purposes. The following information is from the USCG Biscayne Bay website. The vessel is 140 feet in length with a beam of 37.5 feet. Its displacement is 662 tons, and it is powered by 2 diesel engines. For approximately two hours, the Biscayne Bay lay at anchor near the mouth of the harbor with its engines shut down. 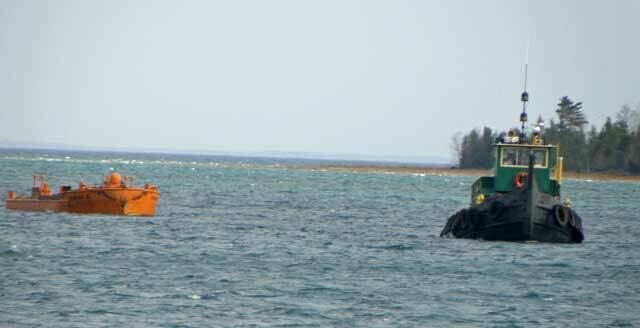 During this time, the crew placed a Zodiak over the side, made a quick trip in to the Beaver Island Boat Company dock, and then returned to the vessel to be again loaded aboard. There was some question about whether this vessel would be replacing buoys, but there were no buoys on board the vessel. 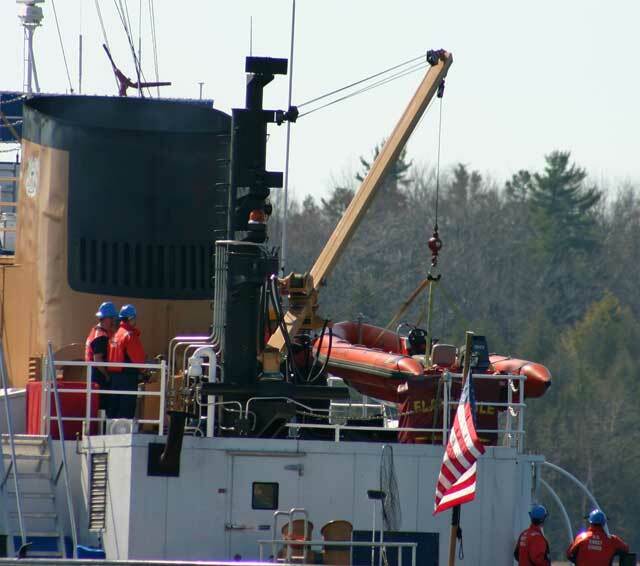 One person remarked, "They would need a larger crane to replace the ice buoy than the one aboard this vessel." There was no doubt about this very large vessel's presence as it could be seen from all around the harbor. 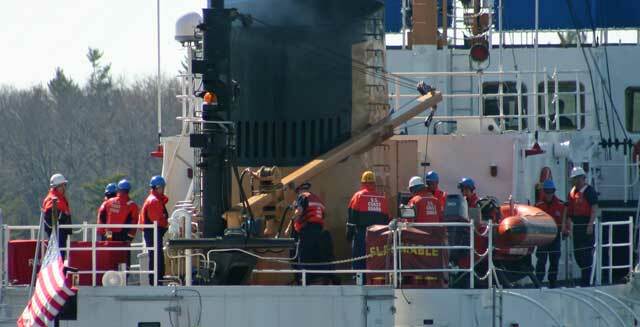 There was also no doubt as the vessel's engines started up witht he plumes of smoke coming off the rear of the vessel. The Biscayne Bay left the harbor shortly after 5 p.m., it's mission purpose still unknown. Looking out at the bird feeder early last evening brought about a memory from the Hitchcock "The Birds" movie. Hundreds of black birds and brown birds were coming out of the cedar hedge near the house. Two bird feeders, containing at least ten pounds of sunflower seeds, had to be refilled last evening due to the number of birds. Grackles and redwing blackbirds, as well as other black birds and brown birds not recognized, were all over the feeders or on the ground under the feeders. 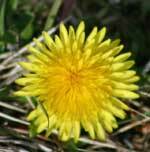 This appears to be one more indication for an early spring. 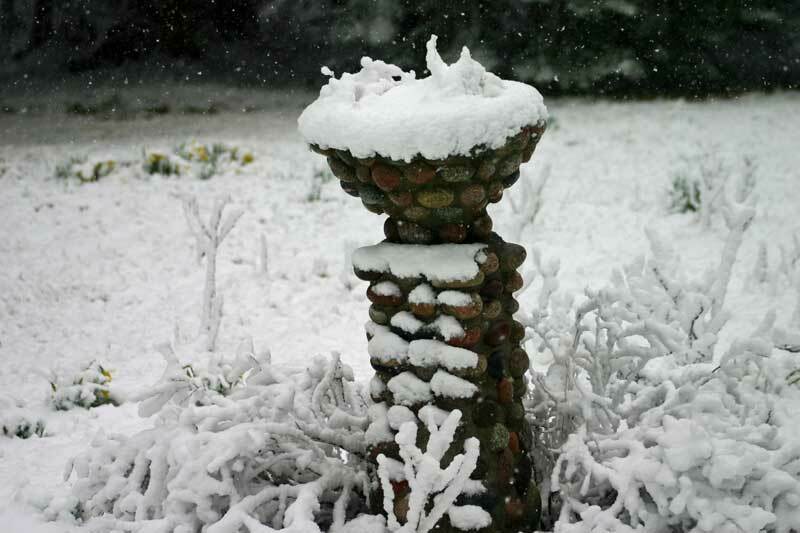 One Islander remarked, "Last year we had snow on April 10th. 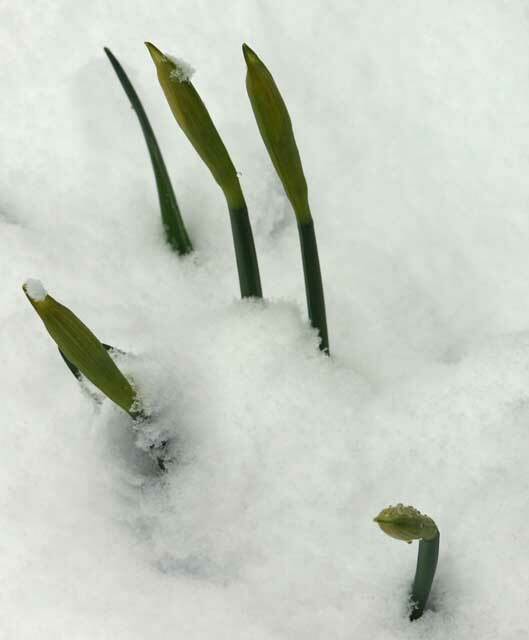 It's not really going to be an early spring. Just wait, April will fool us once again." DVD proceeds benefit the Beaver Island Rural Health Center, the Beaver Island Food Pantry, and the Beaver Island Fire Department Auxiliary. 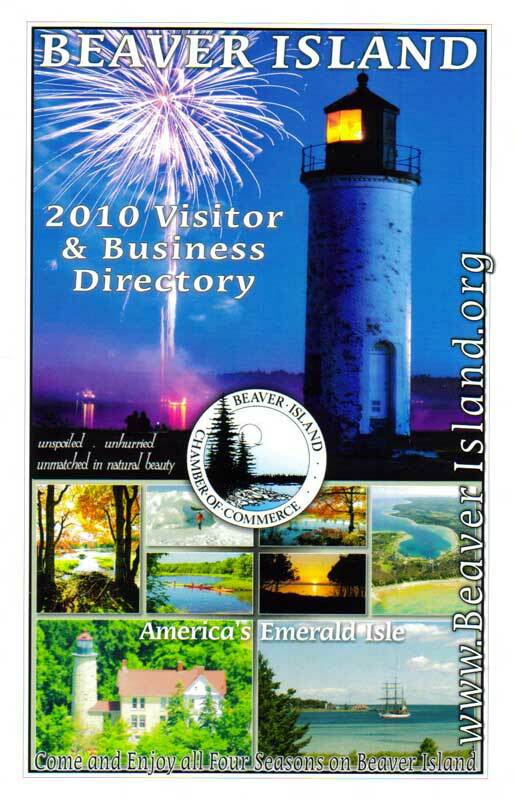 “What Do We Do on Beaver Island….when you're not here,” the important happenings on Beaver Island in the year 2009, is a LIMITED EDITION! The DVD may be purchased online at the link below, or it may be purchased from stores and businesses on the Island. You can order your DVD today by sending $20 plus $5 postage to DVD, c/o Joe Moore, P.O. Box 50, Beaver Island, Michigan 49782 or you can order yours over the Internet from the provided link. He can receive letters and pictures, but no care packages. This summer over 80 musicians from around the state will join artists on Beaver Island during the last week of July to present the ninth annual Baroque on Beaver classical music festival. For the first time the concerts will be “Made in Michigan,” as all participants will be either residents of the state or seasonal visitors to Beaver Island. The festival will be organized by a new managing director, Zac Moore, from Traverse City, who is also Managing Director of the Traverse Symphony Orchestra. Robert Nordling, of Grand Rapids will be the new conductor of the Festival Orchestra. Kevin Simon, from Saginaw, will lead the Festival Chorus for the third year. Baroque on Beaver will include concerts by the orchestra, chorus, chamber ensembles, and soloists. Featured artists will include Martha Guth, whose performances have been a highlight for the past two years, and Claudia Schmidt, who is new to Baroque on Beaver but well-known to island audiences. 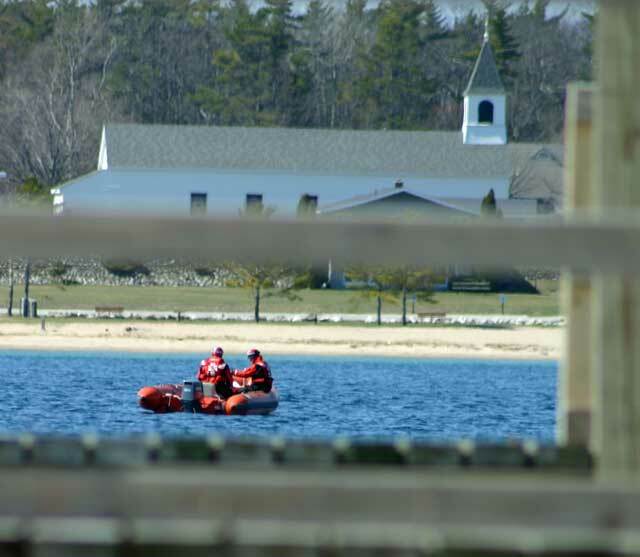 As in past years, concerts will be held in the Parish Hall, the Community Center, and Gillingham Hall at CMU; in addition, an outdoor family concert is being planned as well as mini-performances and open rehearsals at a variety of places around the harbor and town. To involve more of the community in Baroque on Beaver, Zac Moore will schedule additional rehearsal time for island musicians. He will also work with Beaver Island Cultural Arts Association Board Members Kitty McNamara, Miranda Rooy, and Jane Maehr to engage students in the concerts and in musical activities throughout the year. Details about concerts, rehearsals, and music will be available online at www.BICAA.org as soon as those plans are finalized. To learn about participating in the festival as a musician, host, or volunteer worker, contact Judi Meister, Jayne Bailey, or any member of the Beaver Island Cultural Arts Association, or check the website. To enjoy four days of beautiful classical music in a gorgeous island setting, mark your calendars now – July 29 to August 1, 2010 – Baroque on Beaver – Made in Michigan! 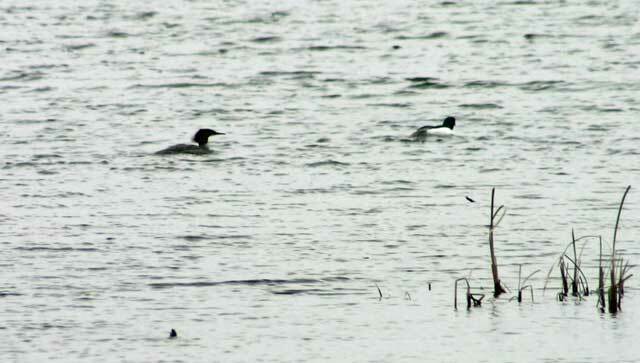 Here is a link to a survey about deer hunting on Beaver Island (and one on cormorants). The BIWC would appreciate your taking the time to answer the questions and will will share the results with the public. At a request from a couple of emails, the BINN Community Calendar has been extended from one or two months to include the rest of the entire year of 2010. 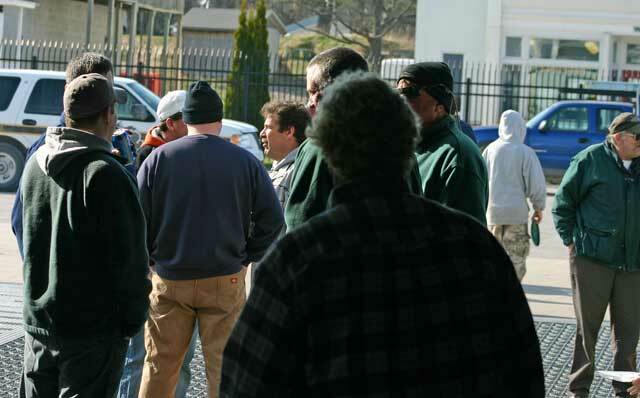 Several people wanted to schedule their events without having a conflict with another event. The BINN reply via email was, "Of course, we would be happy to include a full calendar year in the Community Calendar!" Please send us your calendar of events for the the entire year. We will put all scheduled events on one calendar with one place to check! Click each picture to view the brochure. 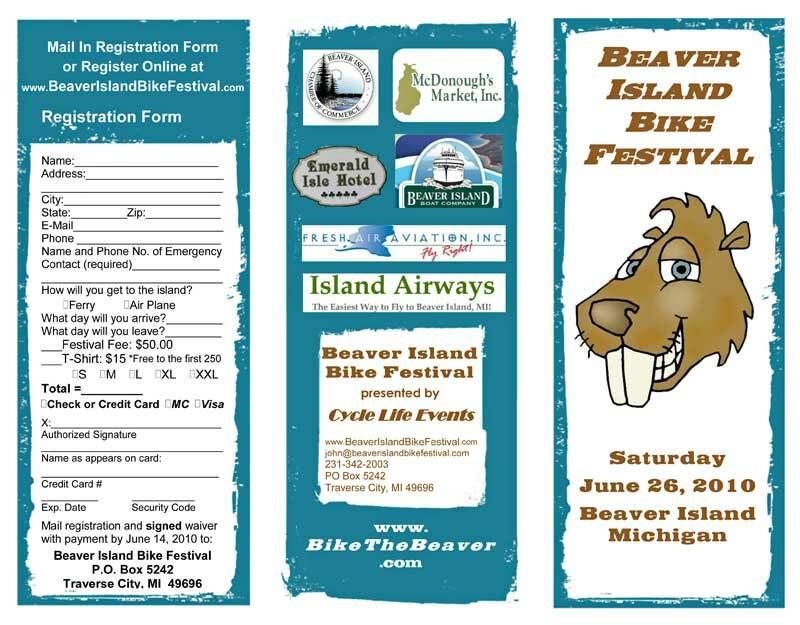 Online registration information is now available for the 1st Beaver Island Bike Festival on June 26th. FREE T-SHIRTS for the first 250. The registration brochure will be available at the Chamber of Commerce office in the Community Center in early April. "The Beaver Island Bike Festival (June 25-27) is your chance to experience the unique unspoiled beauty of Lake Michigan’s most remote island in a fun festival atmosphere. Bikers will ride at their own pace and enjoy incredible scenery, island monuments, historic sites, a beach picnic lunch, a downtown after party and all the friendly hospitality Beaver Islands residents are famous for,” says promoter John Sohacki. For complete information and registration information for the new Beaver Island event see the events section on the home page of The Beaver Island Chamber of Commerce web site www.BeaverIsland.org . The new route map and course description for the second annual Beaver Island Marathon (September 4) is now available on the Chamber web site. The Beaver Island Chamber of Commerce is a principal sponsor of both events. The Citizen of the Year banquet will be held at the Beaver Island Community Center on Saturday April 24, 2010. The price of the event will be $25.00 for an inclusive evening including appetizers, dinner, desert and entertainment. A cash bar will be available at the annual event to honor the Chamber of Commerce 2009 Citizen of the Year. Reservations will be accepted beginning in mid-March. Seating will be limited to 100. For additional information about the banquet please contact the Beaver Island Chamber of Commerce at (231) 448-2505. For reservations, contact the Community Center at (231) 448-2022. There are quite a few subscriptions that will expire or that have already expired in April 2010. We appreciate your support and ask you to renew your subscription as soon as possible. Emails have been sent out, but quite a few have been returned without delivery, which means that BINN does not have your current email address. Every Friday and/or Saturday 7pm, PLUS Matinees!